Choices & Consequences = Our Current Health??? So, I’ve been preaching choices and consequences to my daughter quite a bit lately. At 7 she wants what she wants and she cries if she doesn’t get it. 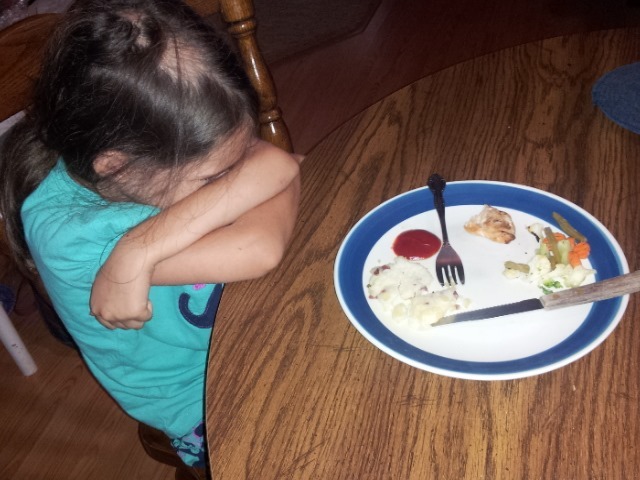 It frustrates me to no end, I don’t feel like we spoil her, we don’t buy her everything she asks for, she has responsibilities, and she is required to eat what is fixed for meals. Today, she wanted to go to the park. I said okay and that we would ride our bikes there. She was very excited. (It is August in SW FL) As we prepared to leave she decided she would rather ride her scooter. I discussed this with her and tried to focus on the consequences of this choice, that she would be required to bring the apparatus home after the park and that her bike would be easier than her scooter, yet she insisted. – Long story short – the mile home seemed like 15 to me! She kept whining and complaining that she was just going to die, that she couldn’t go on another step. We didn’t have a choice – we had to get home, plus, she had plenty of water for the journey. Why is this relevant to your life? Our daily choices have consequences. Everyday we choose a soda pop, or a donut, or a bowl of cereal, or a 10,000 calorie sandwich from a fast food restaurant. Our daily choices have consequences. Unfortunately, we don’t see those consequences so readily as having to eat the food we refused the night before or by having to get home on our scooter when we’ve decided we are done. yesterday that points this out clearly. I don’t typically like, what I call, scare monger tactics to make people see things, but this video stuck me hard. Our choices have consequences. I count myself lucky because I had friends who pointed me in a healthier direction. Better Choices. This video, clearly shows WHY I am so adamant about our children having recess and PE at school, WHY I protest teachers giving the kids candy or food for answering correctly or cooperating, WHY I stress that our daily choices make such a difference. I was close to this in my 30’s. Though not this big, I was struggling with my health, with depression, with pain, and the answer I was given at that time was to take prescriptions. SIX of them at one time – some to handle the side effects of the others. I was miserable. I thank my friend, Betsey, for opening my eyes to what nutritional choices could do and to how easy those choices could be. If you are struggling with your weight, with pre-diabetes, type 2 diabetes, pain in your joints, the beginning of heart disease, lethargy, cravings and such, changing a few things gradually could have a synergistic effect and redirect your current path. Simple steps can begin to turn things around for you so that you don’t find yourself where this gentleman has found himself.